Lord, we pray for your guiding hand to be over our school St. Brigid’s. Bless us all with your love and help us to become more like you. Help us with our school work and to understand the meaning of love and friendship. Keep us loyal to God, our School, our family and our friends. St Brigid of Ireland is also known as St Brigid of Kildare. When St Brigid was young, she decided to become a nun and that she wanted to spend her life working for God by looking after poor, sick and elderly people. She began by building a convent to help many people around Ireland. Young girls came to St Brigid’s Convent to learn to read and write. St Brigid also cared for the sick and gave what she had to the poor. 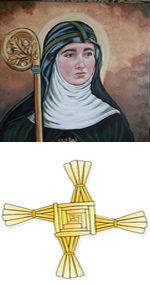 St Brigid wove a cross from rushes to teach people of the love and life of Jesus. This cross is seen on the St Brigid’s crest. St Brigid is one of Ireland’s most loved saints and her feast day is celebrated on February 1st, which originally marked the first day of spring in Ireland. 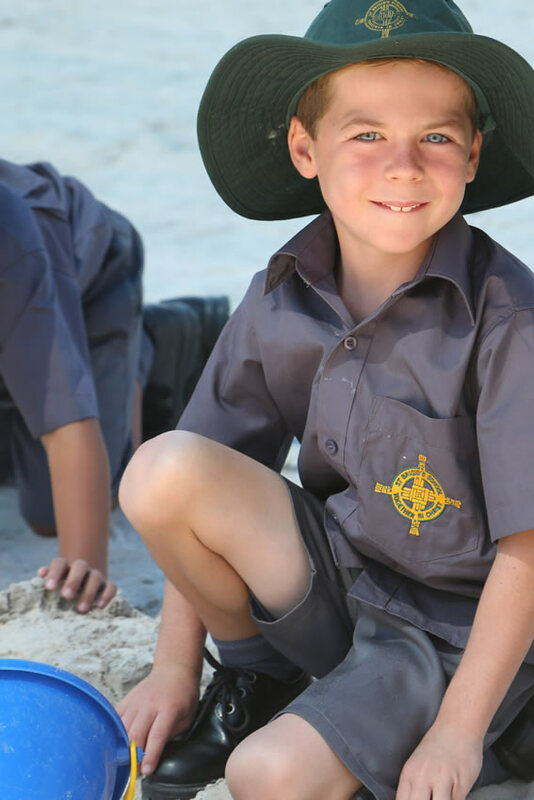 St Brigid’s Day is celebrated each year at our school.